Lifelong friends Jake and Alex are torn apart when they make a terrible split second decision that ends in tragedy. As guilt closes in on Jake, he becomes increasingly determined to confess to the police. But Alex just wants to move on with life. He's got a cool new girlfriend, fancy new house and posh new school, and doesn't want his future to be ruined by a mistake in his past. Told backwards in alternating viewpoints, this gritty novel takes us through the wreckage of a broken friendship, back to the moment when everything changed. Before the accident, Jake and Alex had been raised in a leafy, family oriented suburb of Melbourne. Jake lives with his single mother in a small unit, working long hours as a nurse to provide Jake with a bright future he would otherwise have never been afforded, Science being his chosen field of study. Alex is about to embark on a new adventure, moving to an affluent suburb, a new home and a private school education, while leaving Jake and new girlfriend Ellie behind. Regrettably. Until the accident. Two very distinct characters who both endeavour to overcome grief and in Alex's case, culpability. Jake's internal struggle with his guilt felt incredibly honest and genuine. His grief is palpable as he copes with the aftermath of the accident and feelings of isolation as Alex begins to distance himself both physically and emotionally. It soon becomes apparent that Jake harbours feelings for Alex's girlfriend, the two having bonded over Alex's departure and becoming close friends in his absence. Alex wants to forget the accident and Jake is the constant reminder Alex is determined to distance himself from. Alex felt incredibly narcissistic and seemingly only cared for himself while under his flawless exterior he was terrified of repercussions, escaping into his new life, new friends and abandoned twelve years of friendship. Although the storyline was captivating, the regressive storyline didn't allow for me to connect with either character, as the reader is unaware exactly what the referred to accident is, or how it was caused. As the storyline regressed, I felt myself holding back from an emotional connection until learning what role Alex and Jake had played, not committing to either character as an emotional defence. The most intriguing aspect was the difference in emotion from both Alex and Jake and how each young man dealt with his internal struggle. Their twelve year friendship has left the boys heavily influenced by one another, but the introduction of distance, environment and socioeconomic factors also seemingly factored into their individual reactions and ongoing turmoil. As the boys drift apart, it's Alex's girlfriend Ellie who becomes the link that ties their lives together. 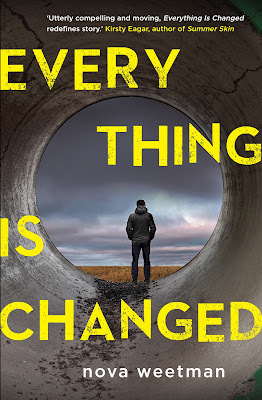 The storyline begins with a single narrative from Ellie's point of view, but it lacked an emotional impact which may have been more effective as an epilogue. Alex and Jake have always been inseparable, until their drunken stupor and a night that will have repercussions for them both. 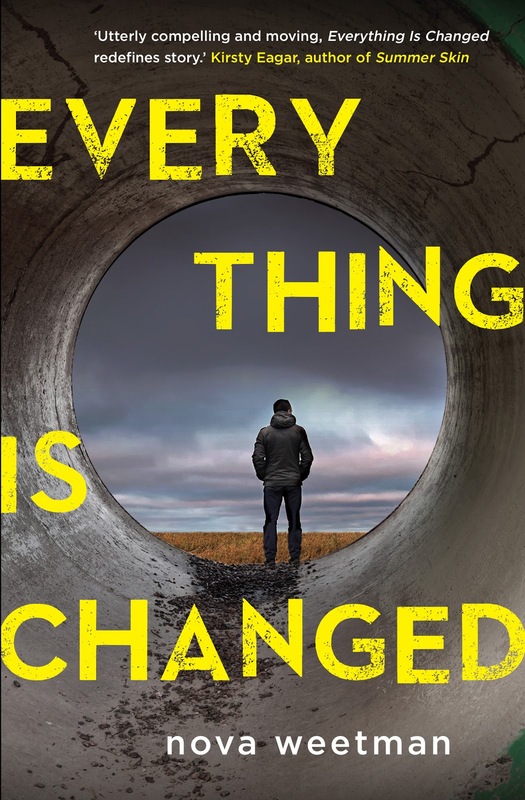 Everything Has Changed is captivating and intelligent with a unique narrative from the accident, then regressing throughout both Alex and Jake's lives. Refreshing and wonderfully written from the male perspective as a multifaceted narration dealing with the emotional struggle between grief and guilt. People like you and me, Jonah, we drag down the price of everything we touch. 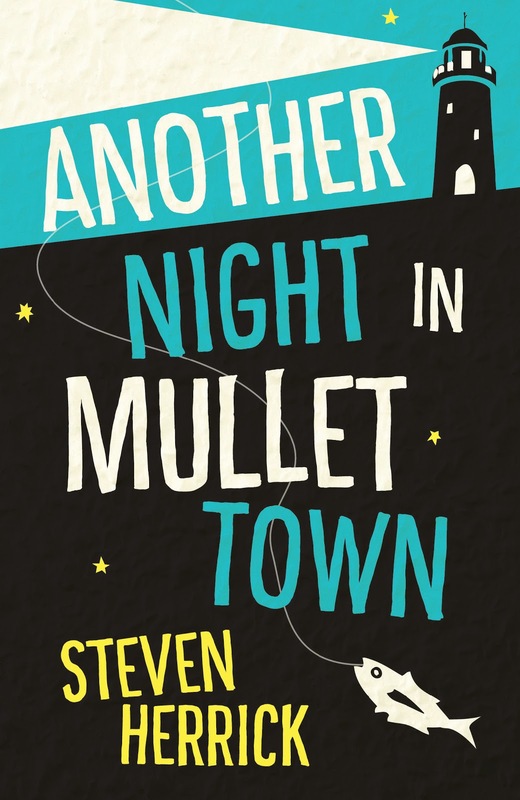 Life for Jonah and Manx means fishing for mullet at the lake, watching their school mates party on Friday night and wishing they had the courage to talk to Ella and Rachel. But now their lakeside town is being sold off, life doesn't seem so simple. Manx holds a grudge against the wealthy blow ins from the city and Jonah just wants his parents to stop arguing. One memorable night at the lake will change everything. Sixteen year old Jonah sits on the bank of Coraki Lake silently watching his town being bought by developers. The sleepy town of Turon is a community of pride, the Australian spirit flourishing despite the financial strain of local business on the verge of ruin. Jonah and best friend Manx are inseparable, Manx is determined to reclaim his town while Jonah's parents are separating due to the financial strain on their relationship. Steven Herrick is without a doubt one of my favourite authors. With so few words, he can paint a vivid landscape of our communities and can capture the Australian spirit and determination. The fictional Australian town of Turon represents our coastal cities in which overdevelopment is destroying our landscape and community prosperity, an issue sixteen year old Manx feels deeply and personally. Told in verse, Steven Herrick is able to capture Australian communities with appreciation, lyricism and authenticity in depicting the human condition. Gentle, lyrical and a ballad to Australia and our passionate patriotism. A little piece of Australia that you read, you rejoice and you treasure. Oh oh I had Mullet Town out from the library a little while back but I ended up running out of time to read it. I should definitely try again, right?!? I need all the glorious Aussie lit in my life. YAYYYY. That first book though...I totally get why it would've been hard to connect to. :/ Like you have to get the audience invested in the problem not solely just asking questions, right?! I struggled with it a little. The storyline itself is engrossing but the accident didn't have the same impact as the reader doesn't have that emotional connection to those involved. I absolutely love Steven Herrick. His books are so far, all.told in verse and absolutely compelling. He tells incredible and authentic stories of outback and small town Australia that are just so remarkable. Steven Herrick is amazing! UPQ have also told me that a few of his older titles are being rereleased with new covers. I'm absolutely stoked! He's by far one of my favourite authors. I find Aussie young adult is typically less dramatic and more compelling than US contemporaries overall. The setting, the characters, it's all Australian and with any culture it's so important for teens to see representation in literature. Another Night in Mullet Town looks interesting. I like the fact that its told in verse, makes me curious. Not sure its something I can pick up in the USA though - but curious about the development in town. You should be able to find a Kindle copy on Amazon hopefully Lily. If you can check put Steven Herrick's work, I implore everyone to do so. He's nothing short of amazing! These are both about friendships -- it's interesting how different they are. what did you think of them in terms of friendships? (and verse! I didn't expect that!) Great reviews! Both male friendships too. I typically prefer a female narrative but it's fascinating to read from.the teen male perspective, even fictionally. I struggled at times with Every Thing Has Changed, most because I couldn't connect to the characters on an emotional level, so the accident the storyline surrounded lost some of that impact. Steven Herrick is phenomenal. I would liken him to Tim Winton in verse, gosh I love his work. Love the sound of Everything is Changed! And Kelly thanks for also reminding me that the book plugin I have (UBB) allows me to add two reviews into one post. I have two books getting published this week and was trying to sort out what I'd share when! That's the only aspect I regret with Blogger, not being able to use the book blogger plugin. I tried moving to Wordpress once and just wasn't a fan unfortunately.